In the past five months we have seen our partnership with Phillippians Place really take shape. It has been incredible to watch a generation really step up and desire to be the hands and feet of Jesus to our surrounding community. Last week we witnessed hundreds of kids at VBS jump into what God is dong through 20twenty and Phillippians Place. Last week alone they raised close to $4,000!!!!! 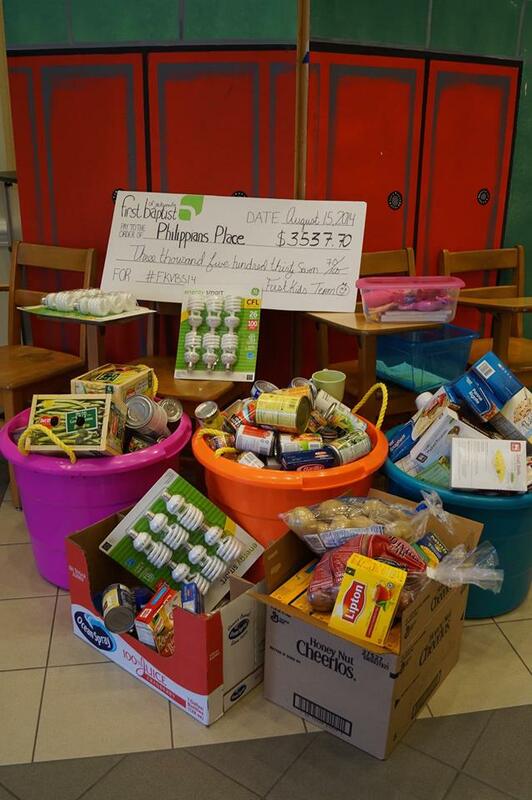 They also brought in 321 canned food items along with 92 pasta items to stock the shelves at the Phillippians Place apartments for all of the people they will be moving in soon. Since 20twenty was launched in late March we have given close to $7,000 to Phillippains Place. This money has gone towards sponsoring a female who is currently residing in Phillippians Place and the money that was raised at VBS will go towards buying stoves and pots & pans for all of the apartments. 20twenty is just beginning and we cannot wait to see all that God does through our partnership with Phillippians Place. Last week our team wrapped up a great week of VBS. This year we offered four days of VBS and concluded on Friday night with a Family Experience. If you are planning a VBS here are some truths that helped up plan an effective VBS. Play to your strengths: What are your children’s ministry strengths? What areas does your team excel in – now plan around your strengths. If your children’s ministry has a great puppet ministry then uses puppets, if your strong in small groups then leverage your small groups or maybe your ministry loves main stage experiences then focus on where your team is most equipped. Know your strengths as a ministry and play to them. With more and more churches on YouTube, Vimeo and social media it is all too easy to model other churches. Fight this natural urge. Remember that people chose to come to your church and God has given you a specific set of leaders so play to their strengths. Keep It Simple: In order to have an effective VBS you must keep the plan simple. Our goal for VBS was to create a safe environment where children want to be – bring their friends to – and experience the love of Jesus. Choose to be great at doing a few things rather than being ok doing everything. In order to keep it simple this year our team decided to reduce VBS to 2 hours (we noticed that last year during the third hour the kids became restless and cranky) and only focused on the environments that were most important (large worship, small groups, crafts for the younger, and rec. ). What can you remove to create a healthier experience? Know your limits: In order to have an effective VBS you have to know your limits. What are the limits of the facility that you are using, limits of volunteers, time limits and spiritual limits?For example, in order to create healthy environments where every child was known and loved, we knew that our facility could only hold 400 kids. Our desire was for every kid who wanted to attend VBS to be able to but knew this was not a realistic expectation due to facility restraints. So we decided to do for 400 what we wish we could do for all. As a result, knowing our limits allowed us to create healthy environments where every child was able to be known by a Godly adult. Empower your volunteers: This is a must! 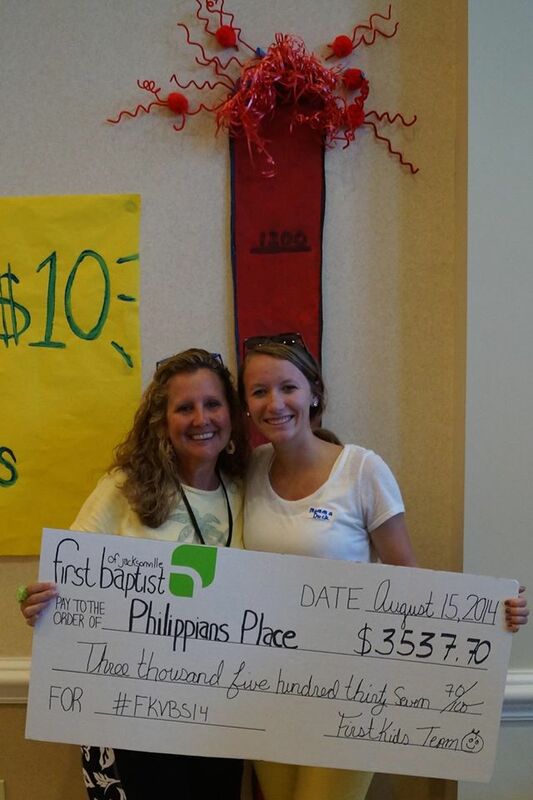 One of the greatest wins of VBS this year were our volunteers. 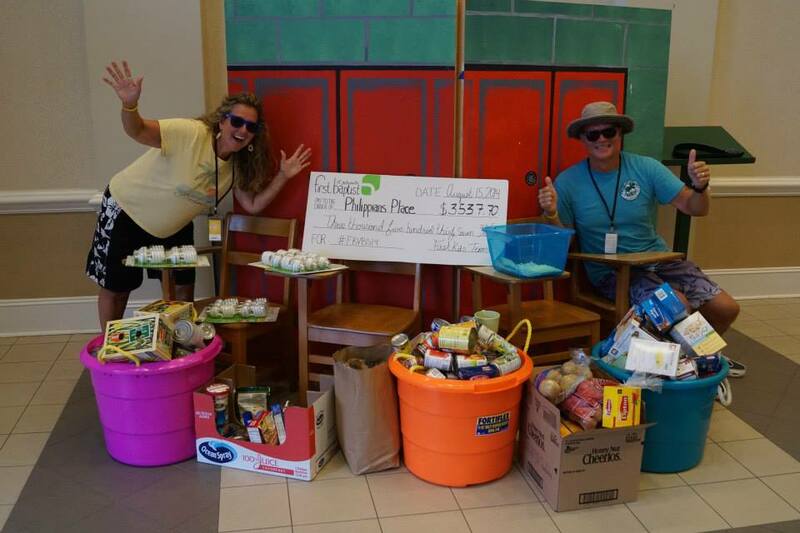 We created a core team of staff and volunteers that established the big picture of VBS, then created volunteer teams and empowered them to lead their area of ministry. Let leaders lead. As a result our volunteers took pride and intuitive in their areas. They met with their teams and poured into their volunteers. Our job as leaders is to create opportunities for volunteers to lead for us – empower your volunteers to lead. Trust God: This may sound simple but make sure that you take time with your team to seek out God’s desire for VBS then trust in His sovereignty to get you through it. Your perfect plans will crack, leaders will go MIA, parents will get upset, and your leadership will be challenged. Trust that God is bigger than our perfect plans, missing leaders and angry parents.